Hollywood, Florida, got its name after its Californian counterpart. This is a city of 150,000 people, most of which speak English as a first language, while a bit more than 20% are Spanish speakers. Hollywood is located between Fort Lauderdale on north and Miami on the south. Pembroke Pines and Miramar are west of the city. The area codes are 954 and 754. Hollywood Beach, Florida, has its fair share of motorcycles. Many motorcycle enthusiasts enjoy riding near Hollywood Beach on A1A and in Downtown Hollywood on Hollywood Boulevard. However, as you may have experienced already, that brings motorcycle accidents. The Florida Turnpike and Interstate-95, the two most lethal roads in Florida, both pass through the city. 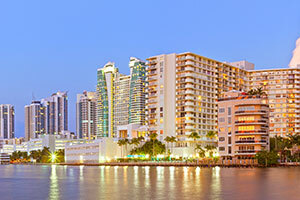 They connect Fort Lauderdale to Miami on the south, but also is the location for plenty of motorcycle accidents. Sheridan Street, Hollywood Boulevard, and Pembroke Road intersect with these two roads, creating more opportunities for accidents. If you or a loved one has been injured in a Hollywood motorcycle accident, you should talk to a Hollywood motorcycle injury attorney as soon as you can. You may be entitled to damages compensation, and if you want to get the amount you deserve, you should get good advice in the early stage of the process. If you delay it for later, you may fail to collect some important evidence and that may decrease your chances of successful financial recovery. Another reason for quick call to a Hollywood motorcycle crash attorney may be the quick settlement offers by insurance companies. In some cases, they’ll offer you a settlement package shortly after the accident. They count on the fact that when you see some money within your reach, you’ll accept it immediately. We at Gerson and Schwartz always advise our clients not to do that, at least not before talking to a Hollywood motorcycle injury attorney. This rarely is an offer that covers for all the financial losses and expenses. Getting the compensation that corresponds with your situation requires some work and diligence. That's where our bilingual Hollywood motorcycle accident lawyers can help. 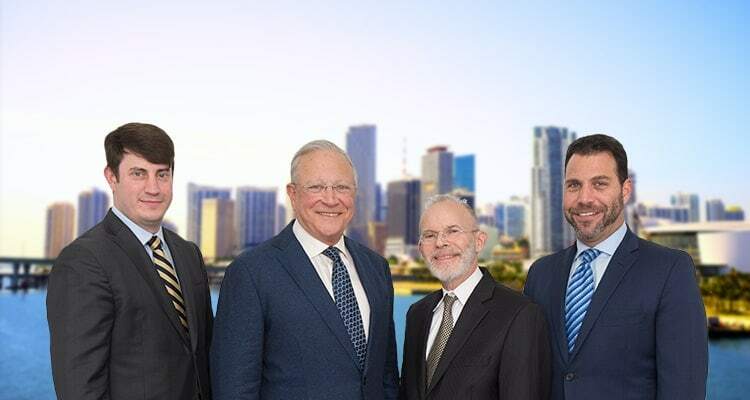 We offer you a free initial consultation at (305) 371-6000. It will allow you to learn about your options at no cost. If you choose us to represent you, we will keep everything at no cost until we recover financial compensation for you. For help with financial recovery from your motorcycle accident in Hollywood, contact our Hollywood motorcycle accident lawyers at Gerson and Schwartz. We speak English and Spanish and are available for free consultations with you at (305) 371-6000. You may be entitled to compensation for medical costs, lost wages, pain and suffering, disability, disfigurement, scars, and other harms and losses. To learn more about that, the free consultations are a great place to start. We don't ask for fees unless we recover compensation. Call us now and let's see what we can do for you.